﻿ T-Polls: Publicity Ends - Game Begins! 5 PM on December 5th has been set as a deadline for ending the Campaigning of the Assembly Polls in Telangana. Campaigning ended by 4 PM itself in 13 Constituencies were there is maoists presence. Election Commission warned stringent action against those who campaign after 5 PM Today. Election Campaigns through TV Channels and Theatres has been banned. Electronic Media has to refrain from reporting any Surveys. Bulk SMSes can't be send until the end of polling. Entertainment Programmes can't be conducted in areas where polling happens. 238 Technical Experts will resolve the issues arising during the polling. As many as 1,821 candidates have been in race for December 7th Election in 119 Assembly Segments. There are altogether 2.80 crore voters in Telangana. While Male Voters are up to 1.41 crore, Female Voters are around 1.39 crore. 2,691 voters belong to the Third Gender. 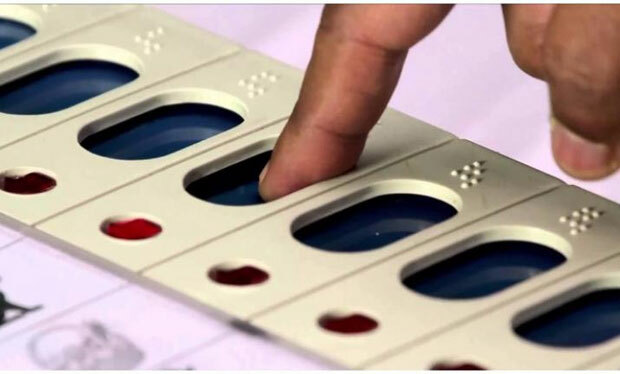 All the EVMs will be equipped with VVPATs so that voter could know to whom he/she voted. 32,815 Polling Booths have been established. EC launched C Vigil App to receive complaints and Wada App for physically challenged. 30,000 Local Police, 18,860 security personnel from other states and Central Forces have been deployed for smooth polling. 4.57 Lakh Wheelchairs & Ramps were provided for Physically Challenged. Most Polling Stations have been in Serilingampally Constituency. Least number of Polling Booths are in Bhadrachalam Segment. Highest Number of candidates (42) are in race for Malkajgiri MLA Seat. Candidates might try to influence the voters in every possible manner from now onwards. What Did PK Say To Telangana Voters?